Sorry to ruin it for you all. 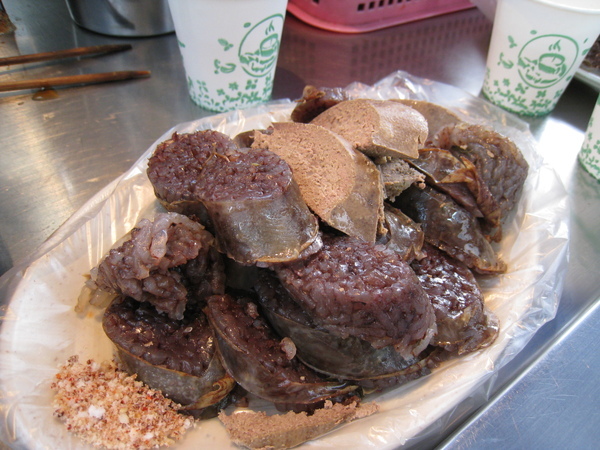 "Soong Dae" is actually made with COW blood and noodles... It's in deed very disgusting.